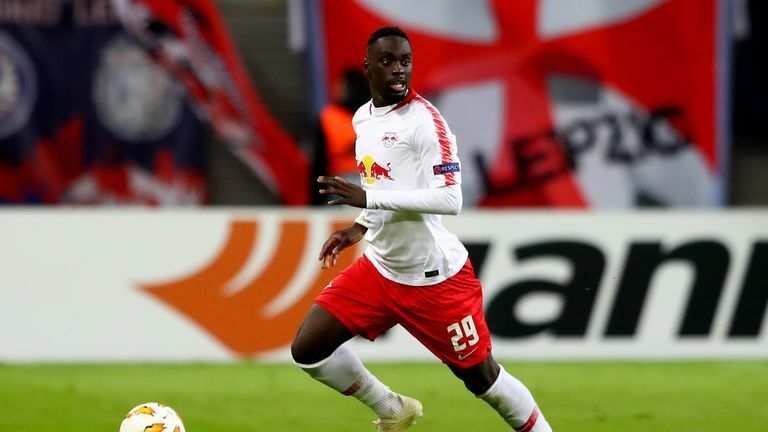 Southampton manager Ralph Hasenhuttl has refused to confirm interest in signing RB Leipzig forward Jean-Kevin Augustin during the January transfer window. Hasenhuttl managed the 21-year-old in the Bundesliga before taking over at St Mary's and both the Saints and Saturday's opponents Everton have been linked with Augustin. The Austrian was happy to list the player's qualities but stopped short of suggesting Southampton will make a bid for him. "It's nice that you know we are linked with this guy! I don't want to explain if it is [true] or not," said Hasenhuttl. "I know Jean-Kevin very well. I think every player I know well is linked with us. "He has got qualities, he is quick, can score and is used to the high-pressing methods we use, so that would help him if he would be here. "But he isn't and I don't want to discuss any players that are linked with us. If there is a player who has signed, we will tell you." Southampton were knocked out of the FA Cup by Derby on Wednesday night, losing 5-3 on penalties, having led 2-0 before being pegged back to 2-2. 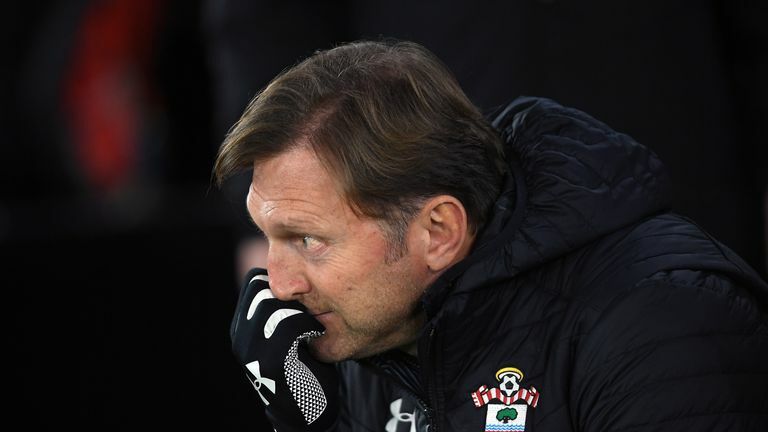 Hasenhuttl admitted they may have shown a lack of respect to Frank Lampard's side as they let their concentration slip having gone two-up at St Mary's. "The most important point is to stop [conceding] early goals after taking the lead. The next 10, 15 minutes [after scoring] are the crucial ones for us," he added. Derby County beat Southampton 5-3 on penalties after a 2-2 draw to book their place in the fourth round of the FA Cup. "We have good focus in the Premier League but we did not have good focus in the FA Cup. "Maybe it felt too easy and the respect for the opponent who comes from the Championship was not high enough in that moment. "It was a very good game, we got 2-0 in front. It was too easy how we gave it away. "The next game on Saturday now needs to be our focus. We can take a few positive things out of this game and keep the negative stuff as small as possible. "It doesn't feel good that we are out of the FA Cup but we have important games to follow and now we need to show we can battle against Everton after 120 minutes on Wednesday evening." 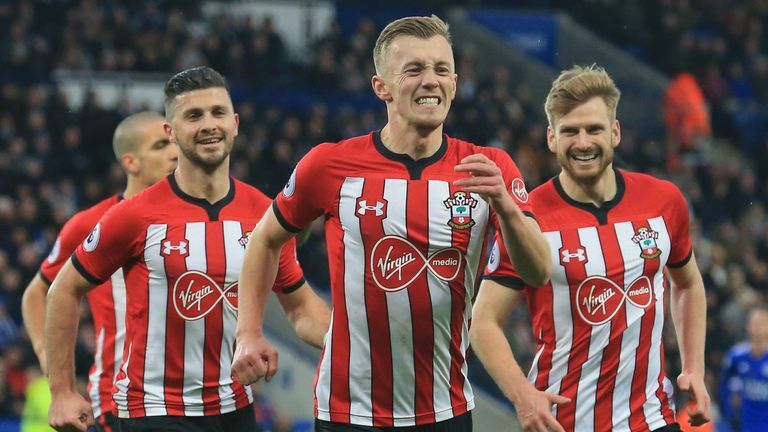 As for whether being knocked out of the FA Cup could ultimately prove to be a blessing, Hasenhuttl admitted being able to focus on the Premier League may boost their chances of survival, with the Saints just one point and two places above the relegation zone going into the weekend's fixtures. "It would be different if we were in position number 10 or 11 [in the Premier League] and away from the relegation zone, then the FA Cup is a real bonus for a club like us to have a chance of winning a title [trophy]," he said. "In the situation we are in now, we have to show if it is an advantage to get prepared for games with longer time and we have to show that now. "This weekend it is a disadvantage because we have played on Wednesday evening but then we have more time to prepare, for example for the Crystal Palace game [on January 30], we have nearly 10 days [between matches]."